If Britain should be drawn into the vortex of another European war, it would be difficult for Canada to claim the benefits of Empire and remain neutral. On the other head, if we saw fit to establish more friendly relations with our neighbours to the South, we might be drawn into a struggle bordering on the Pacific. A descendant of famed Revolutionary War Loyalist Ranger, Robert Rogers, Charles Herman Rogers came from a long line of militiamen. Born in Grafton, Ontario on 28 December 1876, as a boy he joined the 40th Northumberland Regiment commanded by his father, Colonel Robert Zacheus Rogers (1843—1911). He served in the Boer war and in 1913 succeeded his uncle, Henry Cassidy Rogers, in command of the 3rd Prince of Wales Canadian Dragoons. In September 1914, Rogers became second-in-command to David Watson of the 2nd Battalion. Distinguishing himself during the battles on the Ypres Salient in spring 1915, Rogers was promoted to lieutenant colonel on 20 August 1915. He replaced J. A. W. Allan of the 20th Battalion, who had fallen out of favour with his superiors. Rogers led the 20th to the front in September as part of the 4th Infantry brigade, 2nd Division. Rogers went on leave to Canada in December 1915 but returned to the battalion on 6 February 1916. For most of the next ten months, command often fell to Major Herbert Victor Rorke while Rogers was absent from the front attending brigade meetings or on leave. He was recalled to England on 16 May 1917 and replaced by Rorke. 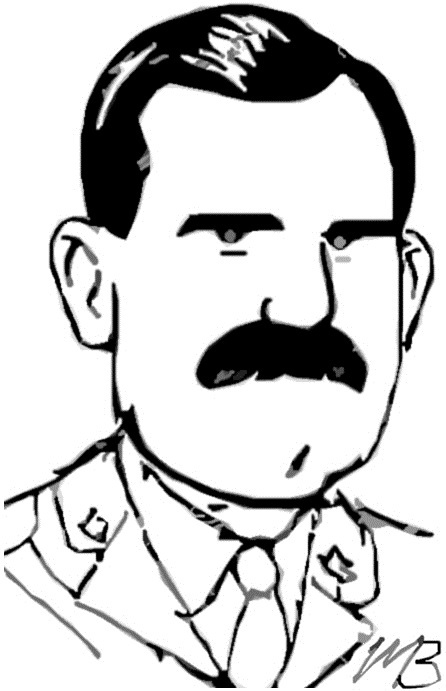 Rogers took command of the 4th Reserve Battalion from May 1918 until demobilization. He died in Toronto on 13 February 1946.